Dr. Klompas works on enhancing public health surveillance using electronic health information in two major spheres: hospital-level surveillance for nosocomial complications and population-level surveillance for infectious diseases and chronic conditions. Dr. Klompas’ hospital level surveillance work is primarily supported by the Centers for Disease Control and Prevention. 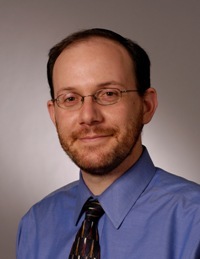 Under the auspices of the CDC Epicenters he has worked on developing objective, automatable definitions for complications of mechanical ventilation. This work ultimately led to CDC replacing their longstanding definition for ventilator-associated pneumonia with definitions for “ventilator-associated events.” On the population-side, Dr. Klompas and colleagues have enjoyed a long, rich collaboration with local clinical practice groups and the Massachusetts Department of Public Health. The group has collectively developed a surveillance network called “MDPHnet” that a) provides automated detection and electronic case reports for notifiable diseases, b) population-level aggregate surveillance for chronic conditions such as obesity and diabetes, and c) permits health department investigators to initiate novel queries against participating practices’ electronic health record data in a secure and transparent manner.